Although there’s no magic formula that will ensure the creation of a beautiful space, there are a few tips you can employ to get you going in the right direction. 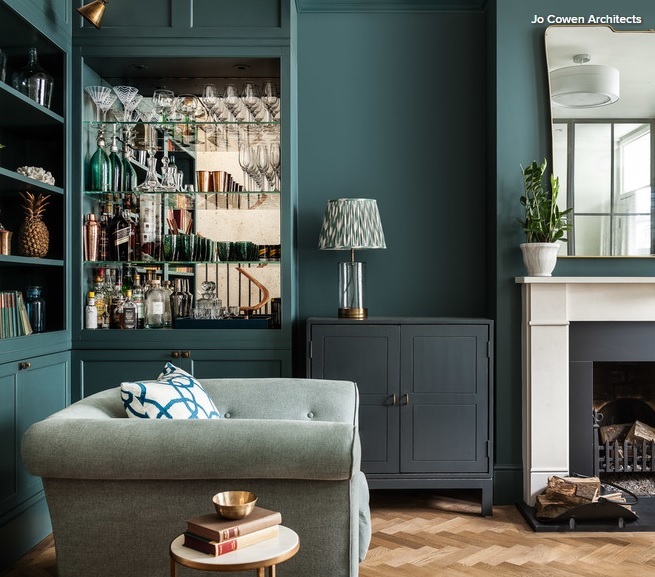 In this luxe living room, antique-effect mirror is used to back dainty glass shelves, creating an elegant bar area that twinkles with champagne flutes and vintage bottles. Although these may seem like insignificant details, taking the time to add in similar fine finishes will pay dividends when it comes to the overall ambience of a scheme. 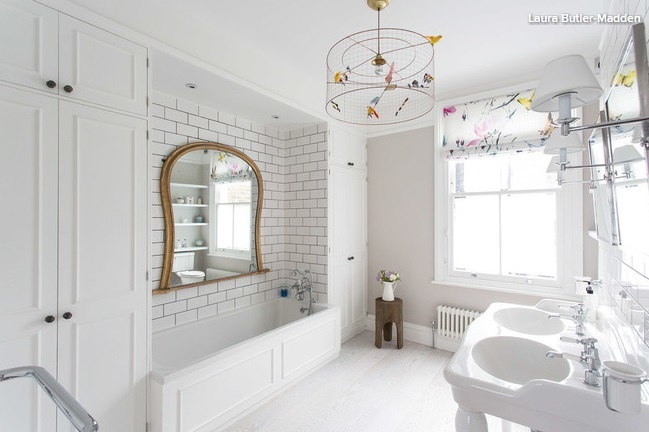 Interior designers often use smaller spaces as a canvas on which to have fun and incorporate unique ideas. 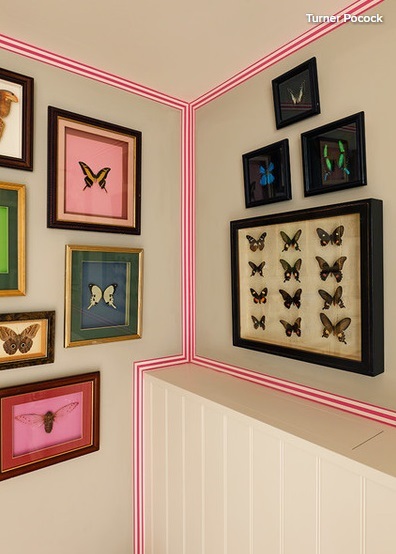 This kitsch cloakroom is the perfect example: the neutral base colour is given a shock of neon trim, while a collection of entomology-themed artwork makes for eccentric impact. Why not make the tiniest room in the house the most merry? Upgrade a plain stair runner with a punchy dark border for crisp definition that will add drama to even the most modest staircase. 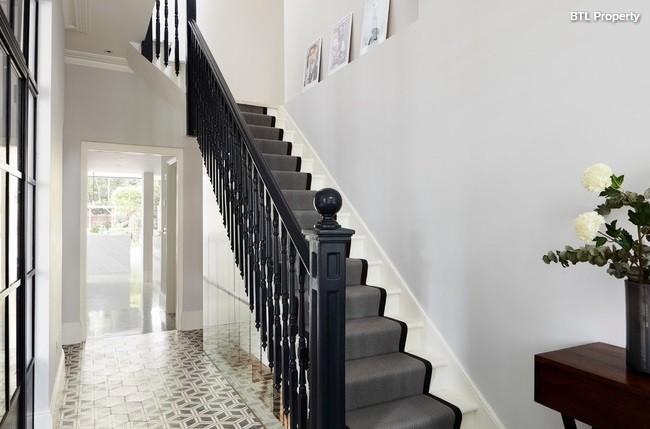 If your treads are particularly narrow, a cotton wrap like this one might make the stairs look a little ‘stripey’. In which case you could try a simple bound edge – where the raw edge of the carpet is finished with loops of thread – for equally effective stair style. Cheat your way to painterly prowess by choosing a restricted colour palette and layering tints and tones of the same shades throughout your space for a harmonious effect. Interior designers are masters at this, and you can be, too – with a bit of practice. 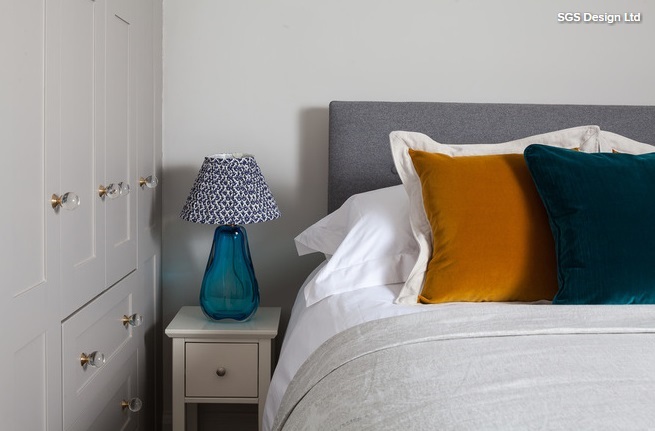 Try taking inspiration from a favourite artwork and replicating the colours featured in other areas of the room – paint charts can help you to find sets of similar tones to experiment with. Even the most elegant interior will fail to shine if the lighting is off kilter. Aim to incorporate multiple different light sources at different heights – spotlights, wall lights, pendants and lamps all have their place. Ideally they will be controlled from several dimmer switches, allowing for maximum mood-inducing versatility. 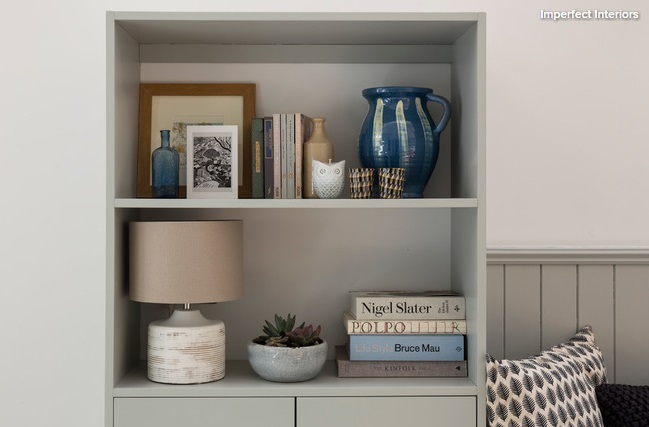 Finding places to display your bits and bobs might feel like one of the last jobs you’d tackle on a refurb project, but this is not the case. Fitting floating shelves, for example, needs to be done before you decorate, as it involves slotting hollow shelves onto hidden rods that are anchored into the wall. Designers have a plan for everything; this allows tasks to be completed in an efficient order and ensures that aims are met. Take a tip from them and do your homework before you start popping those paint cans. Put together a sweet assembly of favourite pieces to form a ‘vignette’ and you’ll notice that your rooms feel more purposeful. 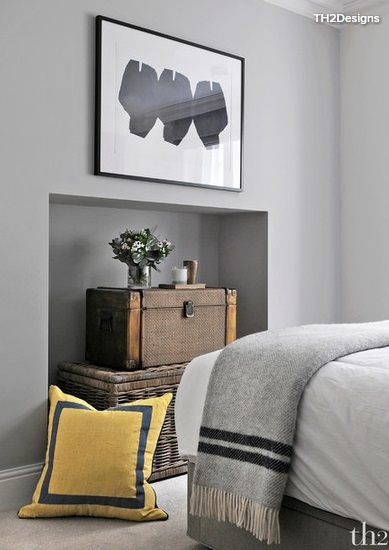 The arrangement in this bedroom, for example, provides a pleasant outlook from the bed, and also the opportunity to sweep fragrance from the scented candle around the room. Interior designers love symmetry. 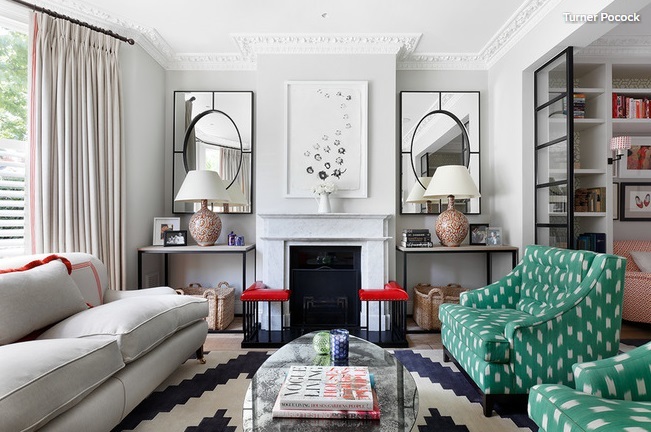 Fireside alcoves are the ideal place to practise a bit of mirroring, with either built-in cabinets or freestanding console tables. 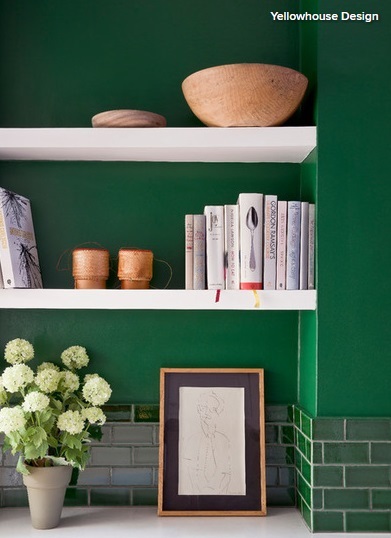 Take elements such as plants, pictures, ornaments and books and repeat them almost identically on either side. Then switch a few pieces around and add in some random objects to prevent the final effect from being too regimental. Interesting and elegant handles will instantly elevate your joinery and can be swapped into existing schemes without fuss. Think texture and look for T-shaped pull handles in faux-bone or blackened-metal finishes, simple leather straps, or tactile Perspex styles, such as these crystal-ball-inspired beauties. you’ll save yourself future faff and costly redesigns. This adorable desk is hidden in a kitchen cabinet, but still manages to secure a prime indoor/outdoor position that any office worker would envy.